I’ve (David) seen it many places for many years the Ichthys. The fish symbol that you see on people’s cars or on signs that are showing a business is a Christian oriented business, meaning they will treat you better or just inform you that hey I’m a fisher of men too. Now the French version of this verse is not quite as direct but you have to appreciate the new version of customer service Abuchson Eclairage is going for. Keep your mouth shut, I’m guessing this new form of customer service has not caught on throughout the world yet. But just remember when “the keep you mouth shut movement starts,” you saw it advertised here first. 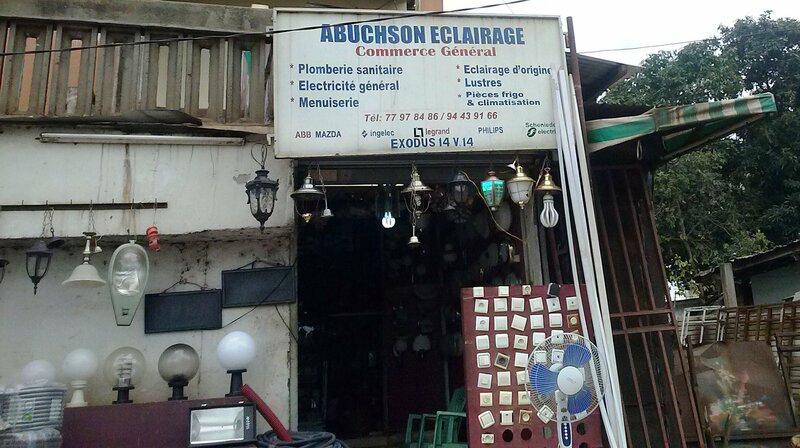 This entry was posted in Cameroon and tagged Cameroon, Customer Service, Exodus 14:14, Mouth shut. Bookmark the permalink. That’s funny. I’m not sure my customers would appreciate me joining that movement. Not quite sure this gentleman would be nominated as a good will ambassador. The sign is good for a chuckle. 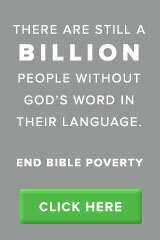 Wonder how many others have been prompted to open their Bible to find out this message.